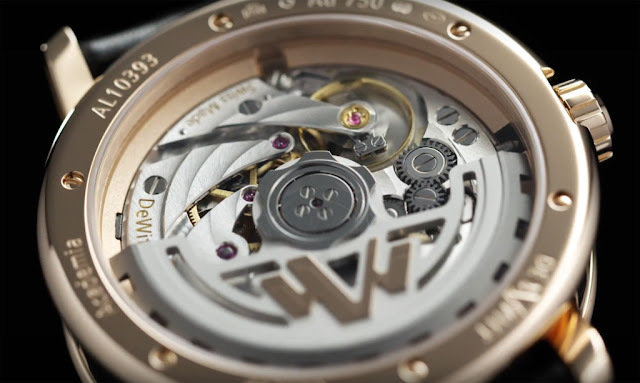 The approach to watchmaking of DeWitt manufacture is always unconventional. This is also the case of the Academia Endless Drive. The distinctive feature of this new timepiece, that will be first showcased at the Salon International de la Haute Horlogerie 2018 (Geneva, January 15-19), is a rotating endless screw visible at the centre of the dial. A clear allegory of time, the unidirectional (and irreversible) movement of the screw will certainly fascinate most observers. The helical screw is linked to the power reserve’s winding system. 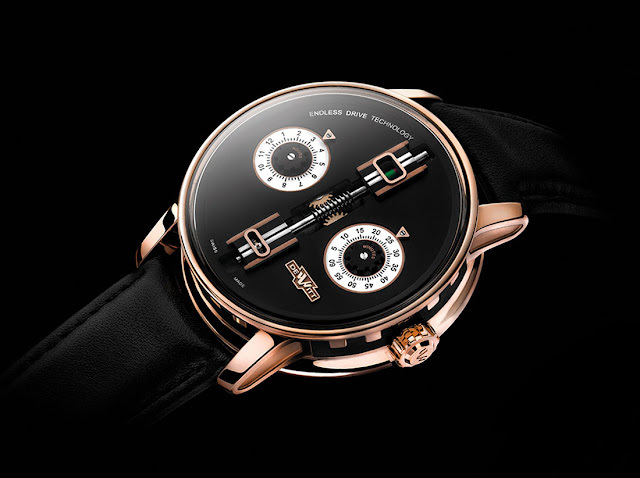 As the 59-hour power reserve decreases, the screw rotates. When the barrel is wound, the screw slides on its longitudinal axis. 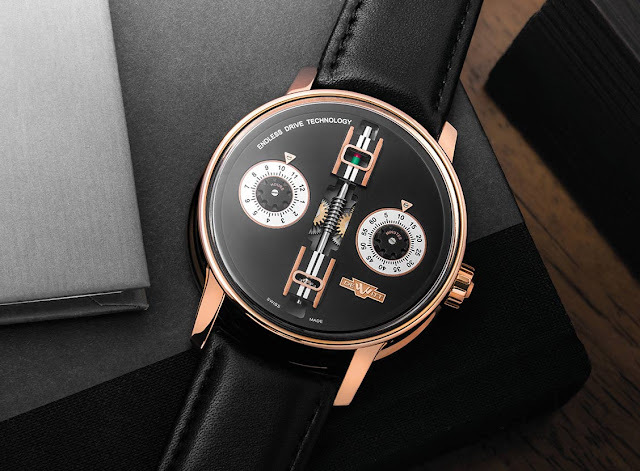 The hand-crafted dial meets the very high standard of finishes adopted by the Manufacture and maintains a touch of originality typical of the DeWitt. In fact, the hours and minutes are indicated with two discs located at 9 and 3 o’clock that rotate around a fixed central piece. 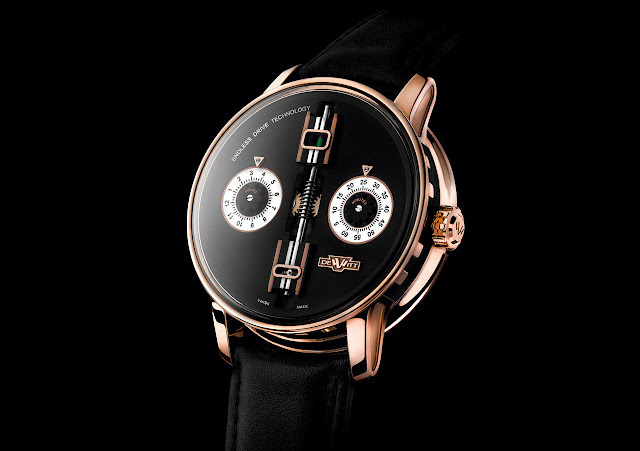 To power the Academia Endless Drive, the watchmakers of the Geneva-based manufacturer adapted the standard DeWitt 5050 automatic movement, entirely developed, produced and assembled by hand. 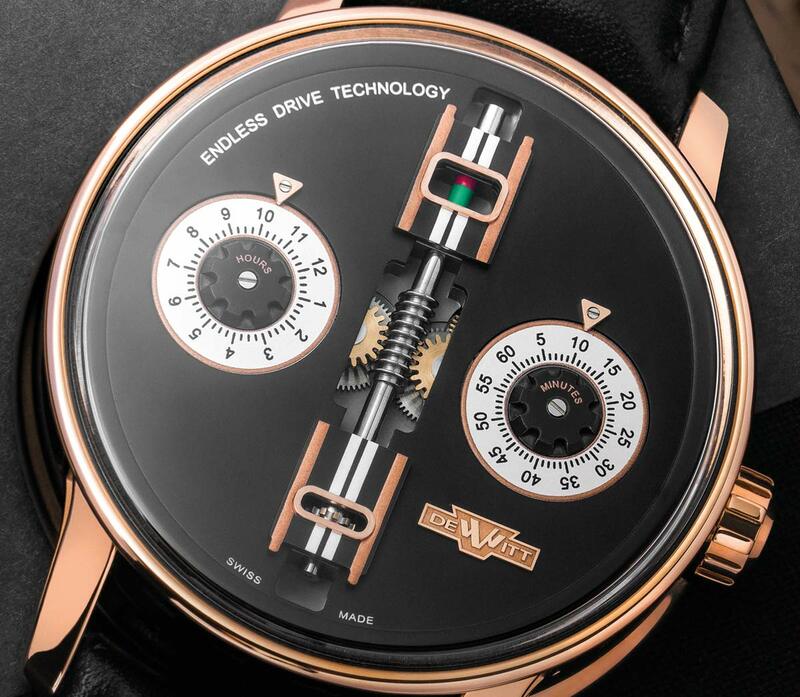 Beating at 21,600 vibrations per hour, the DW1653 calibre is comprised of 320 parts including the variable-inertia balance. Pre-SIHH 2018: DeWitt - Academia Endless Drive. The approach to watchmaking of DeWitt manufacture is always unconventional. This is also the case of the Academia Endless Drive. The distinctive feature of this new timepiece, that will be first showcased at the Salon International de la Haute Horlogerie 2018 (Geneva, January 15-19), is a rotating endless screw visible at the centre of the dial. The DeWitt Academia Endless Drive (ref. AC.ED.001) has a price of Swiss Francs 39,000.